When you need to replace Chevrolet Tahoe cabin air filter here you can find where is locate Chevrolet Tahoe cabin air filter. Where is located cabin air filter on a Chevrolet Tahoe . Cabin air filter on Chevrolet Tahoe is located inside the car on the passenger side. Under glovebox remove screws from plastic panel and remove the plastic plate. Here you can be able to locate cabin air filter housing cover like in bottom picture. 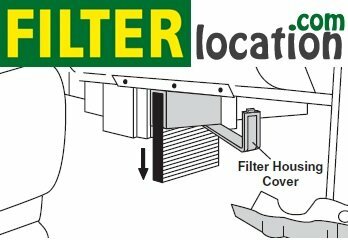 Remove filter housing cover and remove the filters. 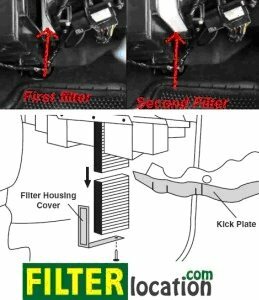 Remove first filter by pulling straight down and to remove the second filter you need to slide this filter forward and do the same procedure like you do with the first filter –see picture. Insert the first filter and slide in the right place and then insert the second filter. Like on model bellow cabin air filter is located under glovebox compartment. To have access on this you need to remove screws on kick plate and remove kick plate like in picture bellow. Unhook and push filter housing cover to the right and remove filter by pulling straight down. This model have only one filter. For more guidance feel free to ask about how to replace the air conditioning filter for Chevrolet Tahoe . Find more information about where is located cabin air filter or air conditioning filter for Chevrolet. If you want to reset service light reminder on Chevrolet Tahoe click here. 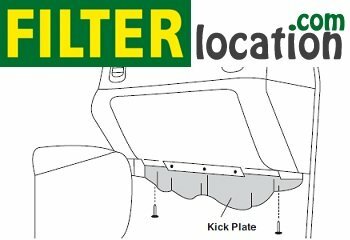 How to locate if you need to change cabin air filter, oil filter, fuel filter, pollen filter, dust filter or air filter on Chevrolet Tahoe . I replaced the cabin filters on my 2002 Cheven tahoe because of anew odor in the back when the ac was turned o, the odor is still there. Is there a second filter somewhere? Any ideas?